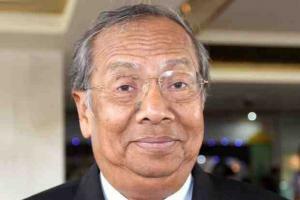 Adenan Joins Mahathir To Condemn Timber Corruption! 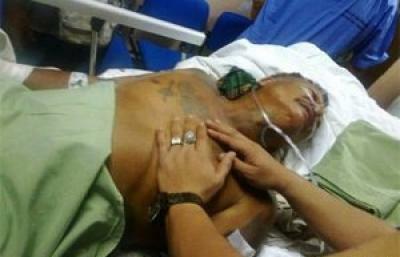 Jaws have been slowly dropping around Sarawak and Malaysia – and then on around the world. Earlier today the new Chief Minister, Adenan Satem, echoed Malaysia’s former Prime Minister and condemned the timber corruption in Sarawak! The conversion of either men to this cause is wholly surprising, given that both are long time political associates of Governor Taib Mahmud, who has savaged this website and other concerned NGOs for criticising this very corruption. Taib has for decades denied that Sarawak’s timber corruption even existed or that the people and the environment were suffering. Now, it seems that Sarawak Report has gone from being an ‘enemy of the state‘ to speaking as with one voice with the leaders of BN!. Adenan complained that some enforcement officers say they are too afraid of the notorious timber gangsters (existence of which previously denied) – how more so poor native landowners like this? 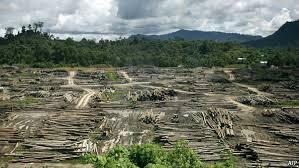 After all, for years we have deplored illegal practices by the major crony timber companies and the appalling destruction of the Borneo rainforest. And we have protested at how native communities have been cajoled and tricked and violently bullied from their lands by these companies, whose practices have caused the silting of rivers and immeasurable eco-destruction. “Don’t mess with me!” he told the shocked timber bosses, naming the big six KTS, Rimbunan Hijau, Samling, Shin Yang, Ta Ann and WTK as directly responsible for what he called “this robbery which is carried out in broad daylight.”. And, says Malaysiakini, Adenan vowed to ““put the fear of God into people who are dishonest”. He certainly grabbed the headlines and shocked his VIP audience of timber barons and senior politicians and state officials in the process. In his attack on Sarawak’s rampant timber corruption Satem fingered a key issue that has been swept under the carpet for years in his statement, which is the way that illegal logging is carried out by third parties or so-called sub-contractors of the big six, so that they can deny responsibility for logging outside of proper concession areas. 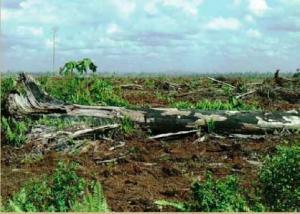 He also referred to the blatant failure by forestry officials to identify or tackle the problem. 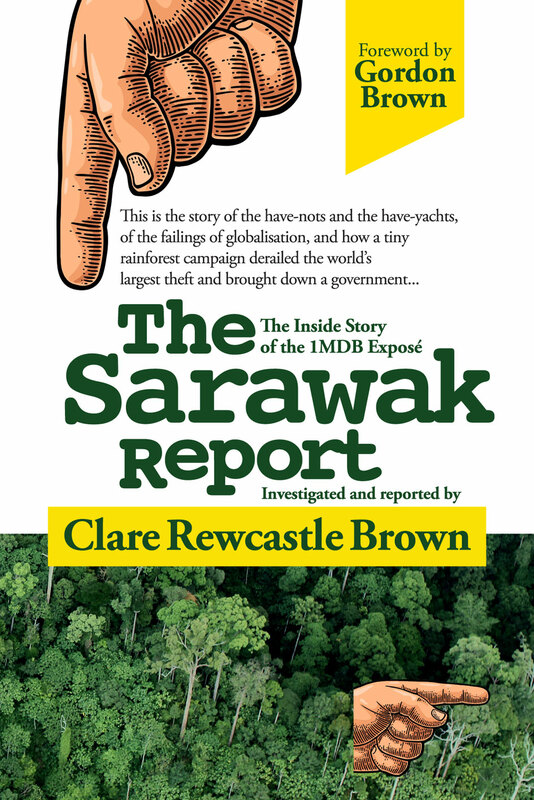 The reason for the lack of supervision is clear when you see Sarawak Report’s own recent expose detailing the blatant bribery practices employed by big companies to silence these forestry officials. Adenan Satem signalled that he has now deployed the MACC to investigate all this corruption and to prosecute those responsible. But who actually is really responsible? Where is the timber – and the money? However, the new CM, despite his commendable condemnation of corruption, failed to mention the biggest elephant in the room. He did not address how come all these companies and officials have got away for decades with this greedy and corrupted destruction of Sarawak’s native lands? It’s not as if voices like Sarawak Report and many many others have not been drawing attention to the problem. 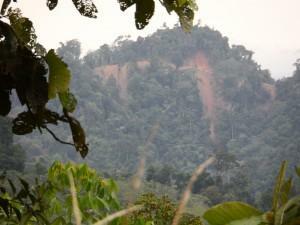 It is not as if native protestors have not gathered to try and prevent it and build blockades against the logging. The real blame, of course, lies with Adenan’s own political allies in BN, including his own long-term boss Taib Mahmud. These are the politicians who have taken vast kickbacks from timber exports and accepted bags of cash from timber tycoons in return for concessions. Most have hefty shares in the companies which have taken licences in their own constituencies. 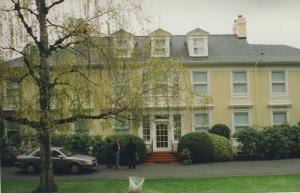 Fruits of timber corruption – Taib’s $1 dollar Seattle mansion handed over from Samling. Consider the two fancy mansions that Taib’s own family received in Seattle USA from Samling’s Yaw family for the cost of just $1 each, for example. Or, the many shares handed to Taib’s personal bomoh in Samling Global alone. It’s not just the Taibs who have been benefitting from timber and plantation concessions and the logging out of dam areas such as Bakun. A whole raft of his political underlings have also been grabbing at major concessions. Jacob Sagan, Awang Tengah, Alfred Jabu, Naroden Majais, Billy Abit Joo, Lihan Jok, Daud Abdul Rahman are some of the bigger fish exposed in this blog, but is there a single BN YB or MP who has not benefitted in some way from the plunder? In fact, the only reason timber corruption has been allowed to flourish at such enormous levels for so long is that practically every BN politician in Sarawak has been up to his own neck in these practices under Taib Mahmud – and because Taib himself was the worst of the lot. Indeed, when Satem made a personal pledge to allow no concessions or contracts for his own family on taking office and asked the rest of the political establishment to join him, he got not one single other minister or YB to agree. Today that matter was raised by questioners and the chief minister again assured that he was in the process of getting his BN colleagues to join his so-called ‘integrity pledge’… “soon”. It looks like being slow progress indeed. And, with such a bunch of rogues still in charge, how can Adenan hope for a genuine solution to this problem? Instead, cynics will be questioning if this latest BN chief minister is merely planning to do what his BN predecessors all themselves did before him? This was to call in all the timber licences and to refuse to re-issue them, unless they got their own secret 30% in kickbacks! Could this be Adenan’s real game, some are inevitably asking? Can BN perform such surgery on itself? Because, if Adenan Satem’s real agenda is genuine reform, then he needs to tackle not only the timber industry and corrupt officials in the forestry department. With the help of this MACC investigation Adenan must first sack his own boss and long term political ally and relative and college friend, Taib Mahmud (remember Taib appointed him because he reckoned he could trust him to continue to be servile). Then he must get rid of all the other BN hangers on, who have cheated their own communities to get rich and then prosecute the lot. To do all that to his own party he needs all the help he can get! The still powerful Dr Mahathir for a start should come out as his ally in this belated battle against corruption. Nevertheless, these reforming BN politicians, if by any chance they are sincere, will soon find out how painful and difficult it is to perform surgery on oneself. 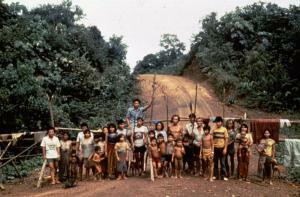 Now that the disease is recognised, they would do better to submit to the untainted hands of others. It is something most voters are likely to agree on.